You are viewing page 3 of 4 from our list of great Family Crafts projects, patterns and tutorials. A sample DecoBloc Glass Block for Crafting & a Pinterest find lead to a great and colorful glass block project that only requires Mod Podge and food coloring. It came out so cool that I might not add anything else to my glass block and just use it like a piece of art glass. 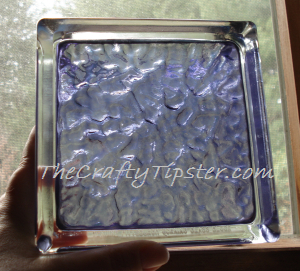 Continue reading"Glass Block Project – Color!" Join me as I experiment with Mod Podge and food coloring to color glass in bold and vibrant colors and discover a fun way to use the leftover glaze. 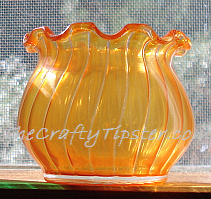 No pale pastels here and it even works on etched or grooved glass too. 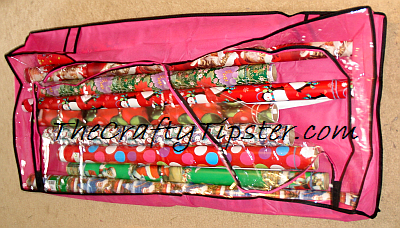 Continue reading"Coloring Glass with Mod Podge Experiment"
Tubes of wrapping paper are bulky, fragile and take up a lot of space but not if you use this cheap wrapping paper storage idea from TheCraftyTipster.com. For our family it was one of those Eureka moments and one that you will hopefully find as useful as we do. 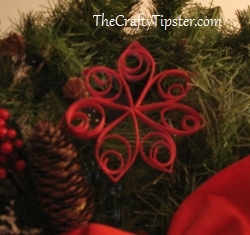 Continue reading"Wrapping Paper Storage Solution"
Using a few quilling techniques, some construction paper and a trio of pencils you can create this poinsettia Christmas ornament. 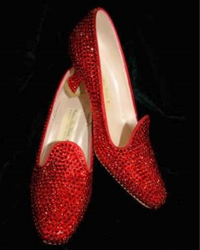 Learn about using crystal beads and flat back crystal embellishments to adorn your favorite clothes, gadgets and even shoes from our friends at Beads and Crystals. Continue reading"Crystal Bead Embellishment Basics"